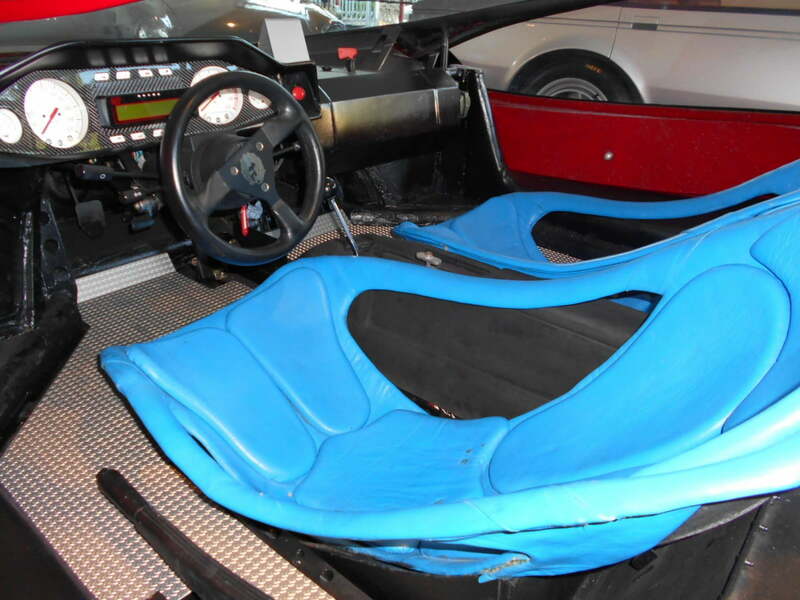 The Ferrari catalog is chock-full of classic beauties fit for bedroom posters, but the various one-offs and custom creations that emerge from the automaker often also have a flair for the abstract. 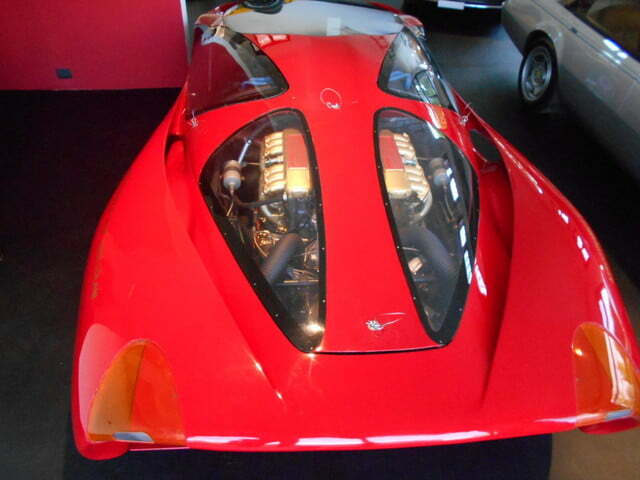 Yes, strange oeuvres like the Pininfarina Sergio or the Ferrari spaceship pop up every once in awhile, but this time around we’re focusing on something altogether unique — the Ferrari Testa D’Oro Colani. Simply put, the Italian tongue-twister looks like nothing else out there. 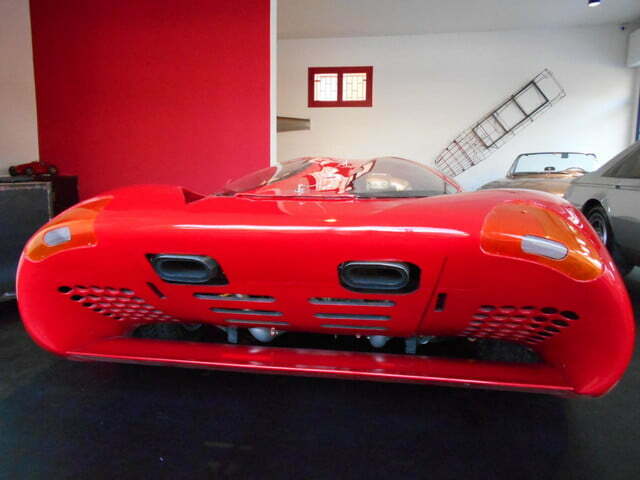 This fabled creation from the late 1980s is currently on display in Italy. 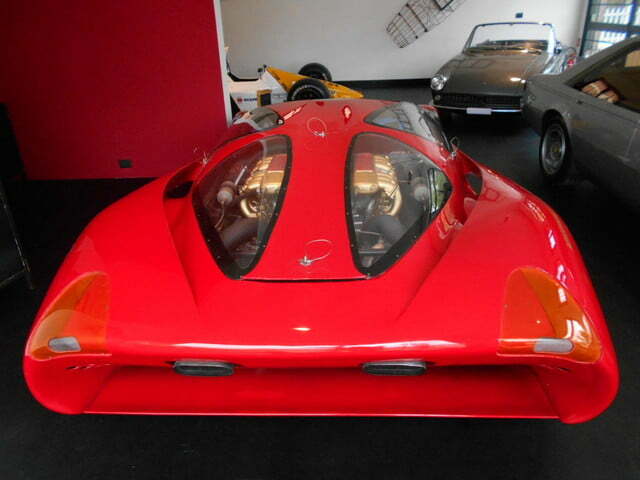 Drafted by German industrial designer Luigi Colani, the car displays the same kind of retro-futurism we loved on his 1981 BMW M2 Concept, which showcases the artist’s quirky style. 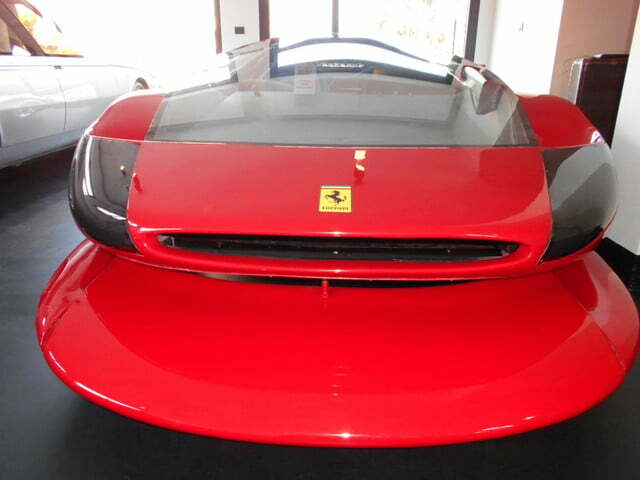 As for the Italian mouthful, the cherry red two-seater is stretched long and low, with a giant front lip and black headlight housings giving the car a distinct expressive face. From some angles, it looks like a bizarre space capsule from the future. From others, it looks downright reptilian. The aesthetics are more than just eye-catching though; they’re functional. 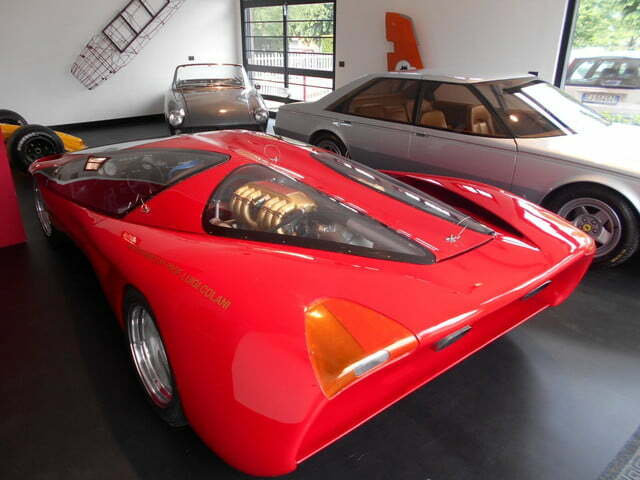 The Testa D’Oro Colani was created in 1989 to chase top speed records at the Bonneville Salt Flats, hence the sloping roofline and deliberately-placed vents. Underneath that smooth bodywork lies the foundation of a Ferrari Testarossa, but with a few choice additions. 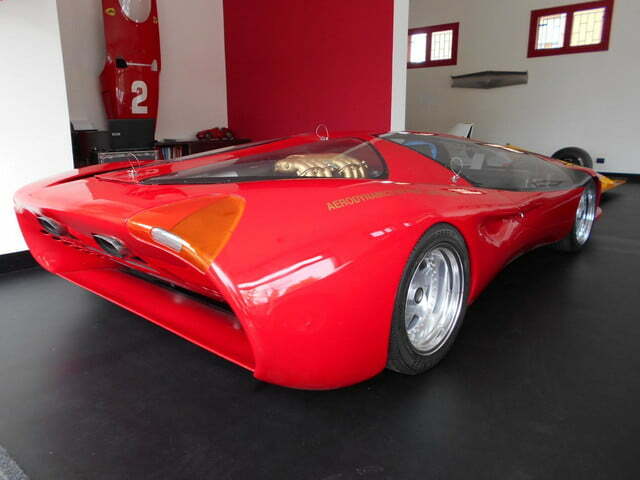 To chase the records books, Colani hooked up with German sports car manufacturer Lotec and added two turbochargers to the Testarossa’s flat-12 engine. 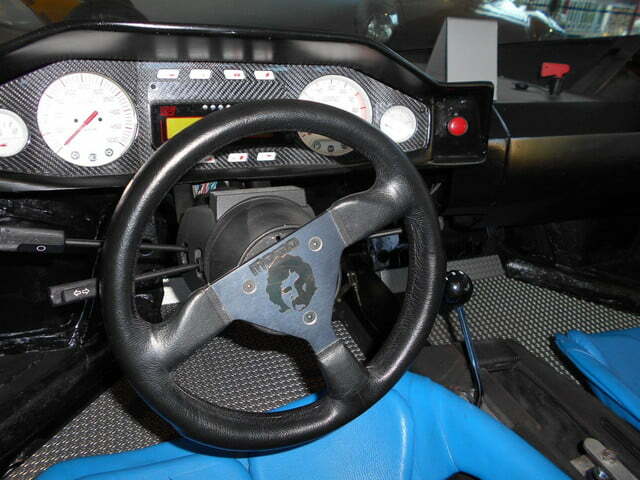 After various modifications and some tuning, the vehicle produced a whopping 739 horsepower and 600 pound-feet of torque. Those are impressive numbers for 2015, much less 1989. Despite those figures, the “Head of Gold” failed to set a new top speed record at Bonneville, reaching a speed of 211 mph before coming back and hitting 218 mph a few years later. Even without that achievement (it did win the award for the fastest car with a catalytic converter), the car remains legendary in its own way. 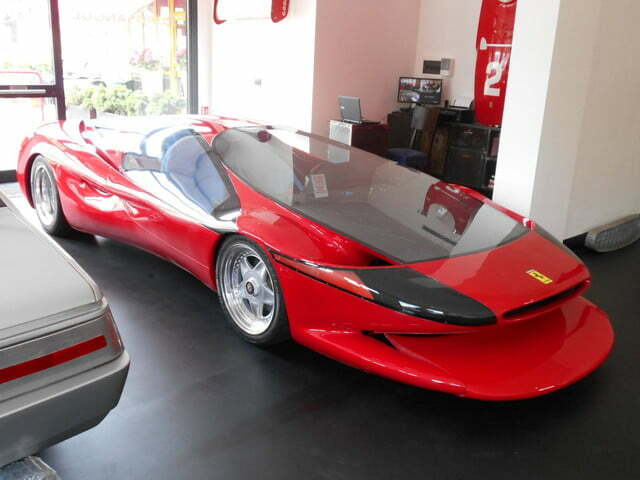 If you’re in Italy, you can see the car in person at the Maranello Purosangue showroom.